We can easily find whether a computer is joined to an Active Directory domain or not by various methods. In this article, I am going to write simple steps to determine whether your computer is joined to an Active Directory domain or not, and whether you are logged in to a computer by domain account or local account. 1. Click Start menu, right-click on the Computer icon and select Properties. 3. 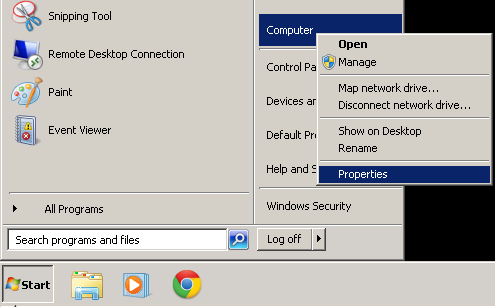 If the Domain: entry exists, then your computer is connected with Active Directory domain or if you have an entry that starts with Workgroup: then your device is not joined to an Active Directory. Even if your computer is joined to the Active Directory domain, you may not logged in by Active Directory account. Follow the below steps to check whether you are logged in to your computer by domain account or local account. 1. Open Command Prompt window (Click Start menu, then type cmd in the Search box and press Enter). 2. In the command line window, type the command set user and press Enter. 3. Look at the entry USERDOMAIN:. 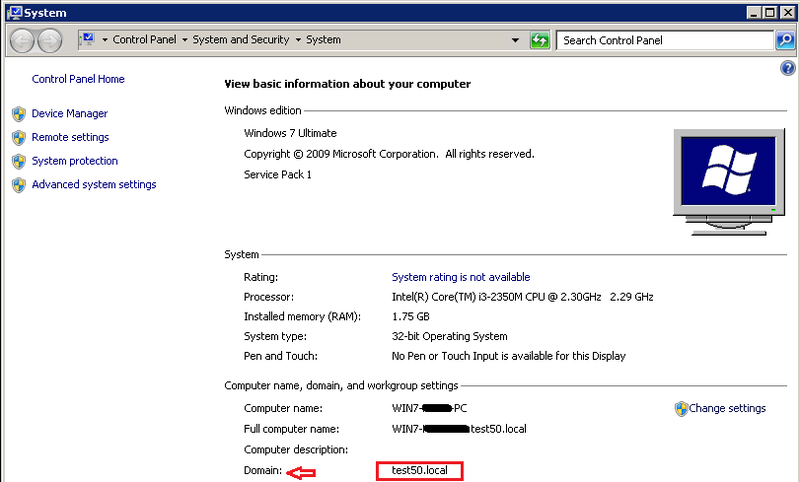 If the USERDOMAIN entry contains your computer's name, then you're logged in to the computer by local account. If it contains the Active Directory domain name, then you're logged in by Active Directory domain account.